On 24 January 2018, the Board of Directors of the International Chamber of Commerce in Afghanistan (ICC Afghanistan) met with His Excellency Mr François Richier, Ambassador of France in Kabul, Mr Yama Wardak, Economic Counsellor at the French Embassy in Kabul, and Ms Géraldine Derome, coordinator of the Afghanistan programme of La Chaîne de l’Espoir in Kabul, as special guests. During the meeting, Ms Géraldine Derome presented the Children’s Pavilion of La Chaîne de l’Espoir to the Afghan contractors and ICC members. They were truly impressed to realise that the project had, since its inception in 2008, contributed to the treatment of more than 7,000 Afghan children, with full coverage of their medical and social costs. At the end of this presentation, the members of the Board of Directors of ICC, announced a donation of $60,000 in favour of the Children’s Pavilion. 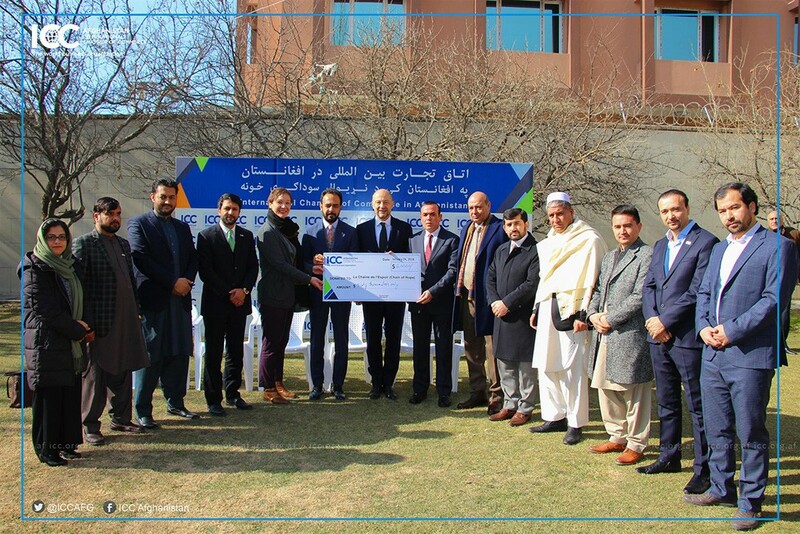 This generous donation will help to treat children from poor families living in all the provinces of Afghanistan and suffering from pathologies requiring cardiac, orthopaedic or plastic surgeries. In the name of the entire team of La Chaîne de l’Espoir and in the name of the Afghan children, we would like to thank ICC for its generosity and in particular Mr Mayel Agha Khair Khwa & Mr Abdul Qadir Bahman, Mr Yama Wardak for setting up this meeting, and His Excellency Mr François Richier for his unflagging support for the projects of La Chaîne de l’Espoir in Afghanistan.